Home Tags Posts tagged with "facial recognition software"
A pair of glasses dubbed a “privacy visor” has been developed to make the user invisible to hidden cameras using facial-recognition software. The prototype spectacles have been designed by scientists at Tokyo’s National Institute of Informatics. The glasses are equipped with a near-infrared light source, which confuses the software without affecting vision. Law enforcers, shops and social networks are increasingly using facial-recognition software. The near-infrared light “appends noise to photographed images without affecting human visibility,” he said. 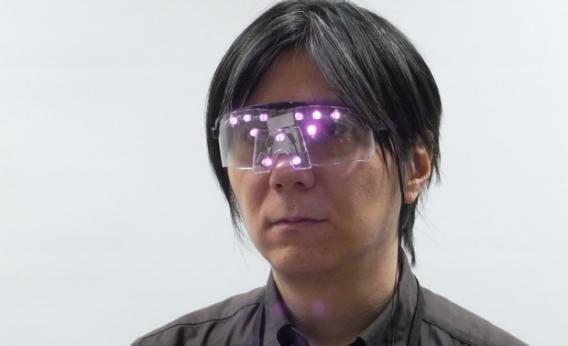 Prof. Isao Echizen said the glasses, which connect to a pocket power supply, would be reasonably priced, but there are some simpler alternatives. Heavy make-up or a mask will also work, as will tilting your head at a 15-degree angle, which fools the software into thinking you do not have a face, according to an online guide produced by hacktivist group Anonymous. In September, following a review by Ireland’s data protection commissioner, Facebook suspended its facial-recognition tool that suggested when users in Europe could be tagged in photographs. In November, it emerged some shop mannequins were collecting data on shoppers using facial-recognition software. The EyeSee mannequin logs the age, gender and race of passers-by through a camera hidden behind one eye. Did Gu Kailai use a body double in court? When Gu Kailai was given a suspended death sentence for the murder of British businessman Neil Heywood, speculation began that the woman in court was a body double. So what do these kinds of suspicions tell us about modern China? As soon as footage of Gu Kailai appeared in the official report of the trial, rumors began to circulate on the internet about the identity of the woman in the dock. Several posts and re-posts surfaced on Chinese social media sites on the same day, with a screen grab of the courtroom scene, suggesting that the woman – who appeared plumper than Gu Kailai- was a body double. This kind of speculation continued through the verdict and sentencing on 20 August and then newspapers joined the fray. One Hong Kong paper – Apple Daily – even reported rumors on 21 August that the stand-in was named Zhao Tianyun, who had been hand-picked by the wife of premier Wen Jiabao. But the paper also quotes journalist Jiang Weiping, who was in contact with Gu Kailai and her husband Bo Xilai for a number of years, as saying that judging by the face and the gestures, it was really Gu. The speculation also extended overseas – Britain’s Financial Times went as far as to consult two security experts familiar with facial recognition software who concluded that the person shown in state television footage of the trial was not Gu Kailai. So do Chinese netizens really believe that a body double was used to shield Gu Kailai, or do they simply want to express their mistrust of the judicial system and of the authorities in general? The answer perhaps lies in another microblog post by the famous Chinese writer Zhang Yihe. “There are a lot of questions: did Chinese hurdler Liu Xiang put on a show during the Olympics? Did swimmer Ye Shiwen take drugs? Did Gu Kailai herself attend the trial?” she asked. “All this reminds us of an ancient fable – crying wolf. In the story the boy only lied once, and nobody believed him afterwards and he was eaten by a wolf. In fact, Chinese netizens are skeptical about many other aspects of the trial as well. Many think it was overtly political, with no judicial independence and the verdict was a foregone conclusion. 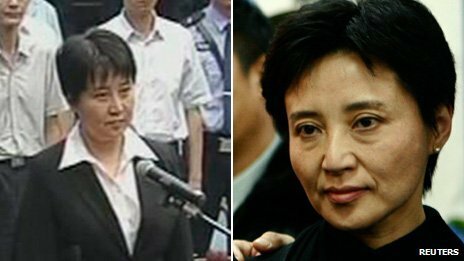 Others are not convinced about the motive presented in the courtroom for killing Neil Heywood, and it is not clear what role, if any, Gu Kailai’s husband – a former high-flying politician – had in the dispute between his wife and the British businessman. This is also not the first time in China that questions have been raised about the identity of the person in the dock. In 2009, wealthy 20-year-old Hu Bin killed a pedestrian on the streets of Hangzhou. When the court passed a three-year sentence, allegations surfaced that the man who appeared in court and served the sentence was a hired body double. The authorities had to robustly refute such claims. Underlying such allegations is a deeply-rooted mistrust of the authorities, the unfairness of the justice system and a perception that the wealthy can escape justice. People tend to err on the side of doubting than believing the official version of anything. Gu Kailai’s trial was over in seven hours, with only a selected few to witness the proceedings, and both Chinese and foreign journalists were turned away at the door. There has been very little media coverage about the trial except some standard pieces by Xinhua, the state news agency, that all media outlets dutifully carry. There have been few editorials or commentaries, compared with the extensive coverage over other issues such as the ongoing territorial dispute with Japan. It is only natural that Weibo, the Chinese version of Twitter, has become one of the few places where ordinary people talk about the trial and express their concerns. Now the phrase “body double” is blocked, however. As to whether the real Gu Kailai or a stand-in appeared in court, one can say that the only pictures available from before the trial were taken several years ago, and show a successful lawyer at the peak of her career with a seemingly happy family. So it is possible that time and events have caught up with her. One should also consider the enormous risks the authorities would have to take for a body double to appear, and wonder what benefit they would gain. Still, those in power can learn a lot from these episodes on how they can build up public confidence and stop the “crying wolf” vicious circle.